The puppies are raised by me, initially in my bathroom, where I can control the temperature of the room very closely. Eventually the puppies are moved to the whelping room, which has 2 custom made whelping boxes for the puppies. They start with access to only the bed. I layer their bed, with 5 layers, to keep the comfortable and dry. 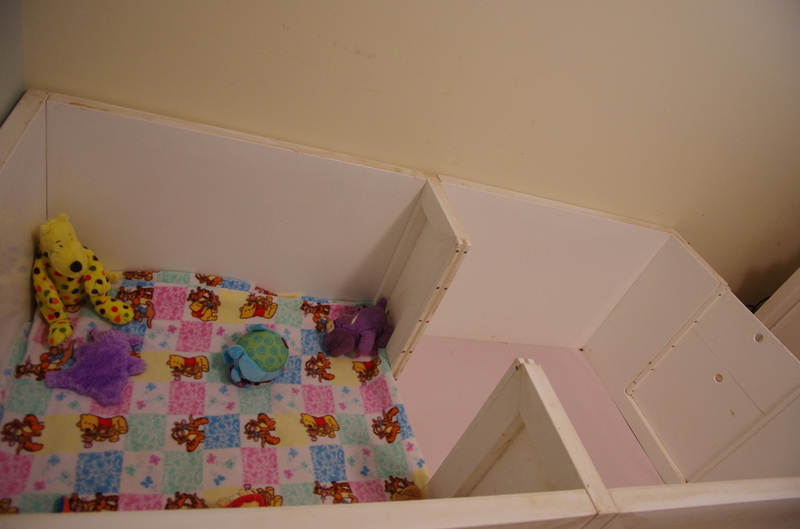 I change their bed linens twice a day and wash the walls of the whelping box each morning or as necessary. Eventually, at about 5 weeks, I open up the 2nd side of the whelping box so that they can have access to the unprinted newpaper that I buy specially for the whelping box, and they begin their potty training at this time. 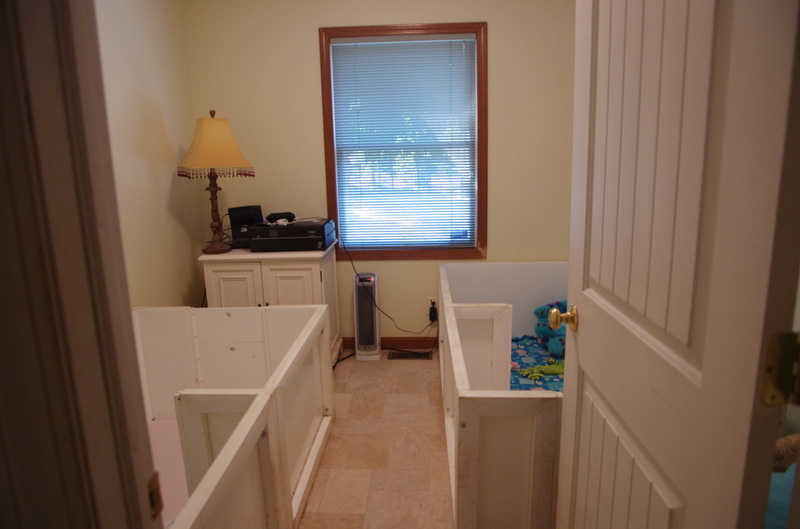 Here are a few photos of the whelping room for you to see how the puppies are raised.